Learning the most important 21st century skill: Abdullah bin Zayed ABU DHABI, 30th July, 2018 (WAM) -- H.H. 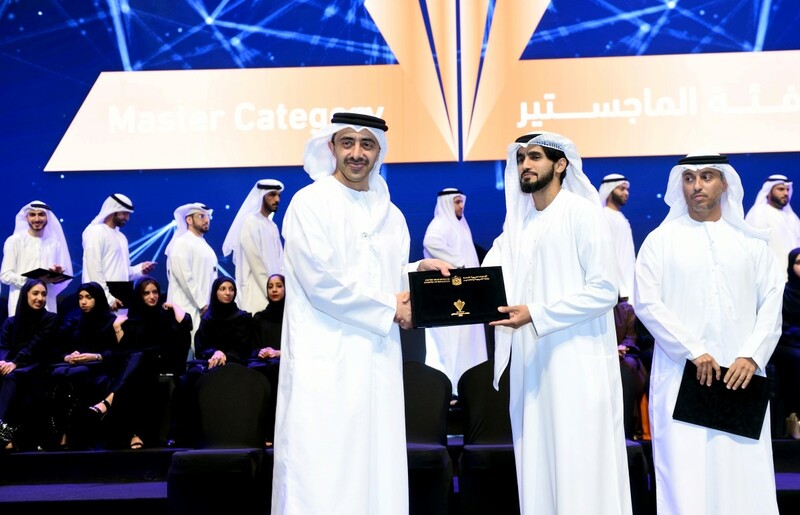 Sheikh Abdullah bin Zayed Al Nahyan, Minister of Foreign Affairs and International Cooperation and Chairman of the Education and Human Resources Council, stated that education was and still is a priority for the UAE, and learning is the most important skill in the 21st century. He made this statement during his speech at the "Exchange Students Forum 2018" that was held by the Ministry of Education today at the Abu Dhabi National Exhibition Centre, ADNEC. Dr. Ahmad bin Abdullah Humaid Belhoul Al Falasi, Minister of State for Higher Education and Advanced Skills; Shamma bint Suhail Faris Al Mazrui, Minister of State for Youth Affairs; Sarah bin Yousef Al Amiri,Minister of State; Dr. Ali Rashid Al Nuaimi, Chairman of Education and Knowledge Department; and a group of senior educators attended the event. "Learning is the most important skill for people in the 21st century, as every person should have the instinct for learning, as a person who does not learn in this age over the course of a day is a person who does not belong in this time. It is your right to not get a degree, but it is not your right to not learn," Sheikh Abdullah said. He added, "I recall university days. Back then, I would wonder: when will I graduate and be done with these responsibilities? Studying, sitting exams, attendance, absences. After I graduated and started working, I realized that those were the most wonderful days of my life. I also came to realise that the strenuous efforts fellow students and I had to exert are in no way comparable to the responsibilities and tasks life brought upon us afterwards." He noted, "I stand here certain that countless questions are roaming your minds, as each and every one of you naturally wonders: where will I work? How much will I earn? Where will my first job lead me?" ''These are only a few among many such important questions. However, I want you all to note one crucial point: you have graduated from university. But you have many lessons to learn from life, for life itself has much to teach.Wherever you end up working, know that learning is the greatest skill one can master in the 21st century. I call it the "learning instinct" because in this day and age, a person who does not keep learning around the clock does not belong to this era,'' he reiterated. Sheikh Abdullah indicated, "You can go through life without a degree, but you cannot do so without learning. My dear sisters and brothers, we live in an era when one who fails to learn at least one skill per year is failing oneself and failing one’s country. All our country wants is for you to stand out, in life, to learn, develop and compete with your counterparts from around the world. You do not belong to the third world, as some people may think.Today, you live in a modern and developed country that will reach planet Mars in three years." Sheikh Abdullah said, "So I ask you: Do you know why we CAN reach Mars, with God’s blessings? For the generation before you believed that education is the solution to all problems, and it is education that makes great nations and lifts them among others like stars that shine in the universe. This is why education was, and still is, one of our top priorities in the UAE." He mentioned, "Our late father Sheikh Zayed, may God have mercy on him, used to say: "I want all the children of the Gulf to learn, and I want them to build their own countries themselves, using their knowledge. this is why we send our students to all parts of the world, to learn. Upon their return to their country, I would have accomplished my dearest wish and hope, to elevate the stature of the Gulf and its land." Sheikh Abdullah added, "I am certain that if he were to see you, he would be extremely proud. To the new students among you who are about to set off on a journey to complete their studies. Enjoy every day" because you are about to experience the most beautiful days of your life, and the greatest diversity life has to offer. You will succeed and you may fail, you may rejoice or feel sad, and everything you encounter throughout these years will be a lesson other than those you will learn at university. Often times, we learn from such lessons more than we would from books." He reaffirmed, "I hope you mingle with others, learn about their cultures, history and customs. Do not limit yourselves to your own community: go out and discover life, because the maturity of a woman or a man is only measured by the quality of people they mingle with throughout their lives. He urged them to always remember the words of His Highness Sheikh Mohamed bin Zayed Al Nahyan, Crown Prince of Abu Dhabi and Deputy Supreme Commander of the UAE Armed Forces, when he addressed our youth and told them: please use the words "Nahna Ayal Zayed" "We are Zayed’s children’ in the right place, at the right time, and for good purpose.'' He indicated, "For all things you do shall be tagged so: the Emirati did so, the Emirati said so and so. Therefore, I wish you, my sisters and brothers, to remember at all times that you represent the UAE, your grandfathers, your grandmothers, your fathers and your mothers who have toiled to bring your country to this great stature. while addressing parents Sheikh Abdullah said, " Firstly, you have sown a good seed, and today you must be proud of what you reap. Secondly, do not fear for your sons and daughters, for you have taught them well and we thank you for that, and now their role is to complete the journey themselves, and I am sure that you will be proud of them once and again." He concluded his speech by congratulating the graduates and honoured the 208 graduating exchange students who have finished their university studies, 56 specialised in either engineering and technology, 31 in medicine and life sciences, and nine in natural sciences. The number of graduates in the social and administrative sciences and arts reached 105, with seven in arts and human sciences. The students graduated from the world's prominent universities that included University of Columbia, US, Imperial College London,University of Oxford, UK, and Tokyo University of Technology. In his remarks on the occasion, Hussain Al Hammadi, Minister of Education, said that the educational system in the country adopts the best methods and practices to achieve the desired goals of various policies and diversified educational programmes. He added, " The higher education is an integrated system through which we look forward to developing competencies of our national human resources by sending them to prestigious international universities." 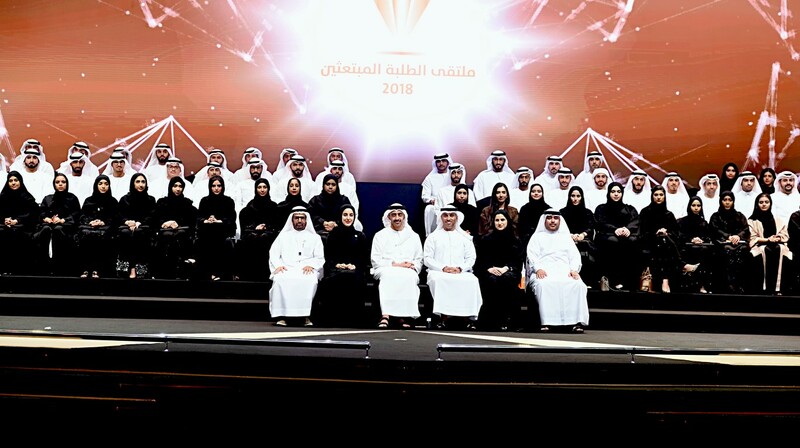 Dr. Ahmad bin Abdullah Humaid Belhoul Al Falasi, Minister of State for Higher Education and Advanced Skills, said, "Our student who are studying abroad, along with those studying inside the UAE, are the country's wealth and bet for the future. They have an active role in building bridges of constructive cooperation between the UAE and the world, thus contributing to representing the UAE and the region in the best way . Our students are the main engine of development in the country. They will lead the next phase of building the future up to achieve UAE Centennial 2071.'' The number of new students who are studying abroad is 316 students, including 202 are males and 114 females. 190 students will study engineering technology, 38 medicine and biology, 20 in natural sciences, 39 in social, administration and arts sciences and 29 in arts and humanities. The students will study in a number of the highest institutions of higher learning in a group of countries in the world where the universities of America and Canada will receive 135 students,121 in the United Kingdom and 26 in East Asia while European universities will welcome 14 students.